Dive into perilous new adventures with Nere Hanson as she confronts Wasp, Whitey and Ran Kuron once again. 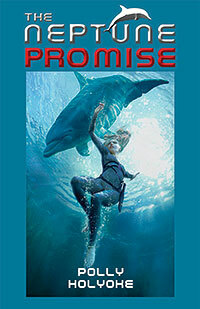 Dai, Tobin and the dolphins and even Cam are all back as Nere and her friends race to save our planet from the devastating effects of climate change. Parents, if you email me at pbholyoke@gmail.com with your snail mail address, I will send your Neptune fan a signed bookplate and a bookmark. Congratulations to Makaila for winning first place and to Samar for winning second place in my spring break writing contest. I truly enjoyed reading their entries! 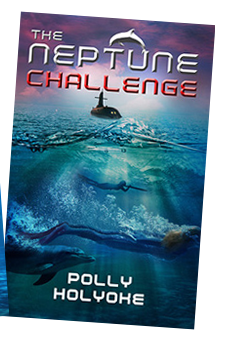 My Neptune books will plunge readers into a world of undersea adventure. 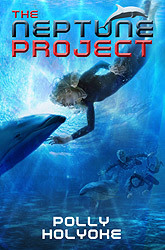 The Neptune Project, an award winning novel for middle grade readers, was published by Disney Hyperion in 2013, and its sequel, The Neptune Challenge, was published in 2015. If you love dolphins, the oceans and stories about friendship and loyalty, you should try diving into these books! 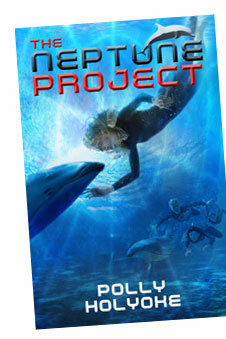 The Neptune Project has been placed on state reading lists in Texas, Florida, Ohio, Maryland and Hawaii. I was thrilled when kids in Florida chose it as their favorite book on the Sunshine State Young Readers Award list last year. The American Association for the Advancement of Science (AAAS) also endorsed the book as a strong science-based read for kids. Educators, because my books include plenty of science and a strong environmental message, The Neptune Project and The Neptune Challenge lend themselves well to cross-curriculum teaching. Please check out the new Resources for Educators page on this website. There you will find teachers' guides packed with interesting lessons and STEM activities that Language Arts, Social Studies, Math and Science teachers can all use in their classrooms. An experienced teacher, I'm also available for school, Skype and Girl Scout visits. Librarians, in the article "Under the Radar Books for Teen Read Week," School Library Journal recommended both Neptune books because in them, "the world-building is superb, the ocean life well-researched, and the characters appealing." Readers, check out my cool links to dolphin sounds, shark sites, and what our coastlines will really look like if our oceans keep rising. In Nere's gallery you can also see some of the fascinating sea creatures that my Neptune kids encounter every day. Site design © & maintenance by xuni.com. All content © 2012-2019, Polly Holyoke.